This GoSea stainless steel sit on top kayak trolley is designed for the easy transportation of sit-on-top kayaks. They really are a must have for anyone transporting a sit on top kayak and make the job a lot easier. Put your kayak on the trolley, load it up with all your kit for the beach and wheel it down - easy! The GoSea stainless steel trolley comes with two rubberised prongs that fit through the underside of your sit on top kayak's scupper holes. The rubber allows the kayak to have a much better fit, with less movement and less chance of causing any damage to your kayak. It also comes with a strap to further secure the kayak. 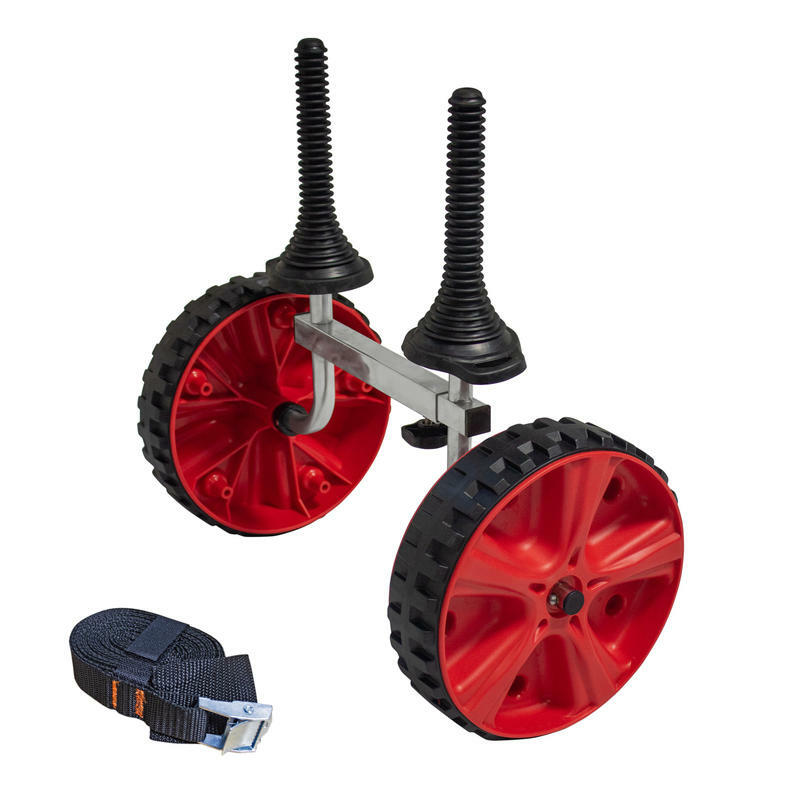 The trolley is manufactured from high grade stainless steels and comes with quick release tough, all terrain solid rubber tyres that will never puncture or go flat! 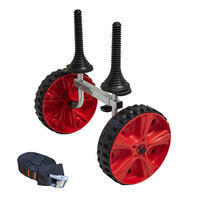 The range of adjustment of the trolley's prongs are between 28cm and 36cm. As long as your kayak's scupper holes are between this width, this trolley is perfectly suitable.